Warpworld Vol. IV, Final Storm is…out, published, launched, ready to read, done like dinner, and looking for a few good readers! Now, if you’ll excuse me, I have to go cartwheel about a thousand times while screaming, “WOOOOO HOOOOO!”. Thanks for reading and thanks for waiting! 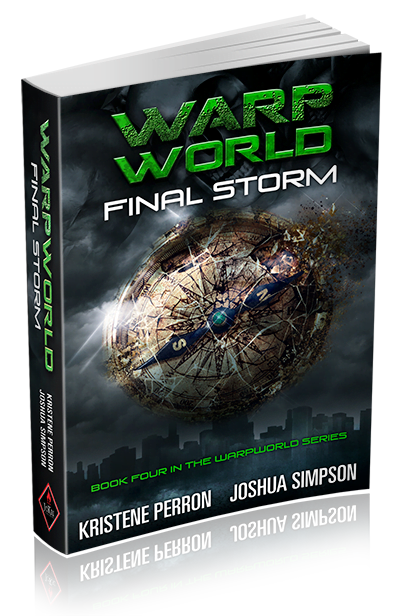 adventure science fiction, Joshua Simpson author, Kristene Perron author, science fiction series, Warpworld Final Storm, Warpworld Volume 4.